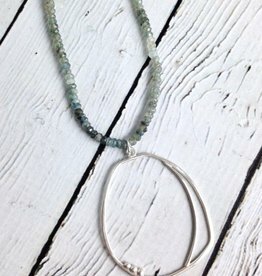 Handmade Sterling Silver Organic Pendant on Double Strand Moss Aquamarine Stones Necklace. 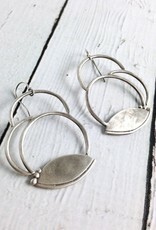 Necklace measures 16” long with a 2” extension. 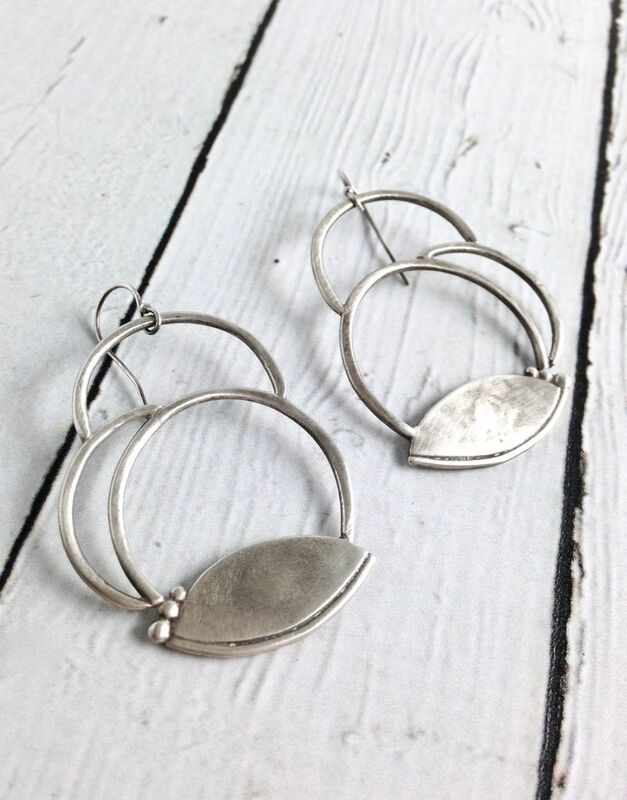 Pendant measures 2” x 1.75”. 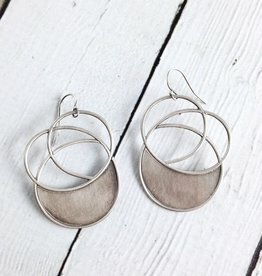 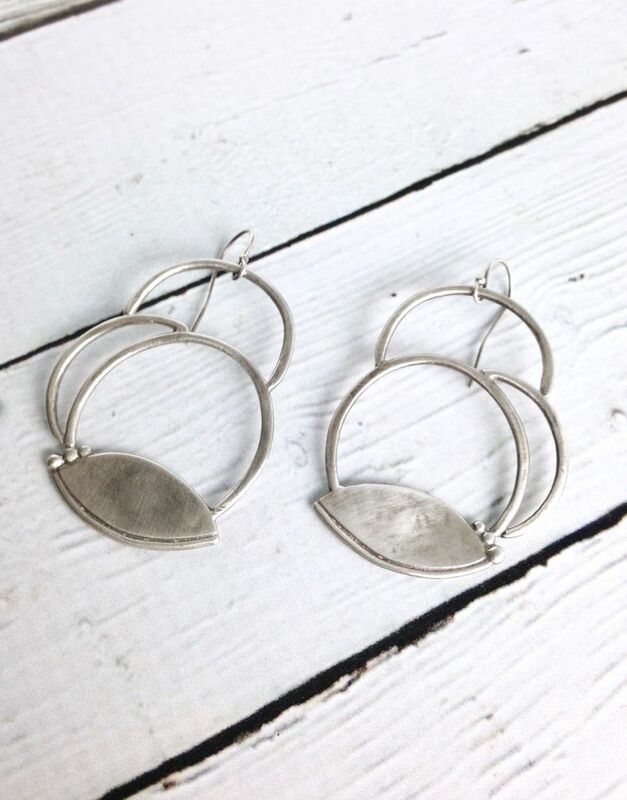 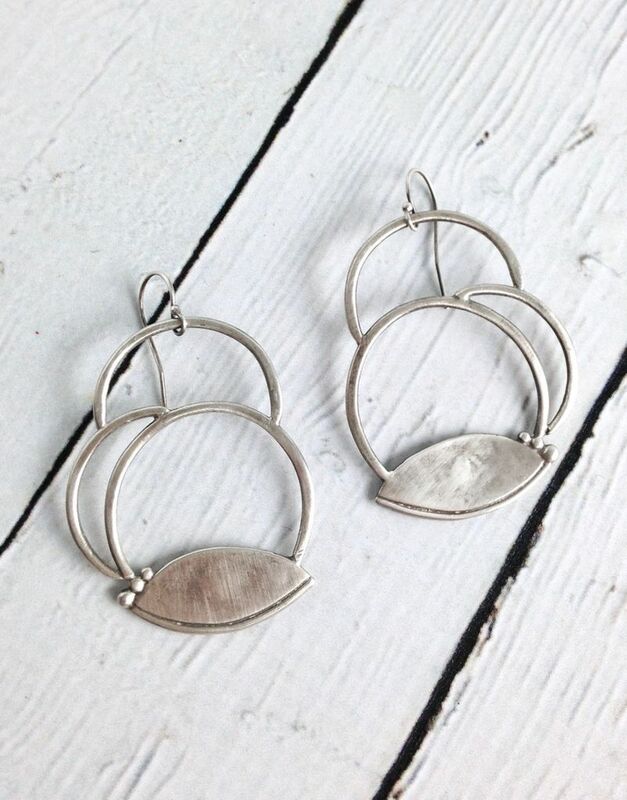 Handmade Sterling Silver Oxidized and Textured Multi-Circle Earrings with Solid Halfmoon. 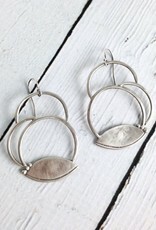 Earrings are 1.5” long and about 1.25” wide. 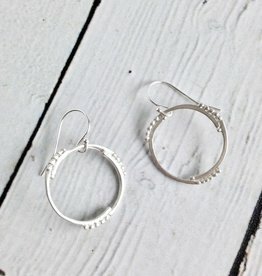 Handmade Matte Sterling Silver Circle and Dot Earrings. 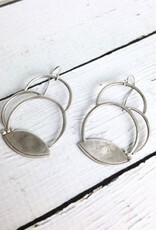 Earrings are .75” x .75”.